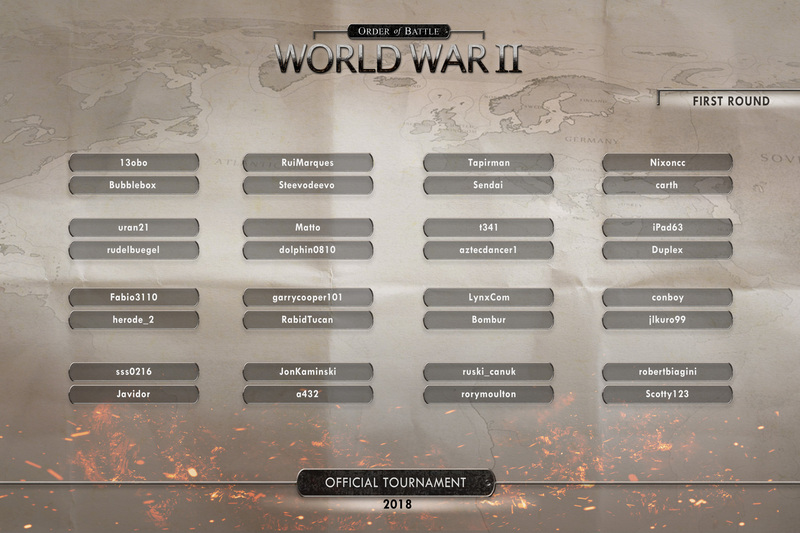 Order of Battle to feature the Kriegsmarine! Order of Battle returns to its roots with this DLC and it expands to the icy waters of the North Sea and the Atlantic Ocean, pitting the Kriegsmarine against the might of the Royal Navy and its allies. Order of Battle: Kriegsmarine features a subject rarely touched upon by other games and never with such level of detail: you will follow the German navy in its years-long campaign to challenge the Allied supremacy of the sea. This will put you in situations which you’ve never faced before in the Order of Battle. You will fight as the underdog and support land operations, perform convoy-raiding missions, lure enemy ships into deadly ambushes and make extensive use of submarines. Fight through historical and what-if scenarios alike and demonstrate you are the real master of the seas! The game will feature iconic ships such as the Bismarck and the Scharnhorst, introduces a wide range of submarines, naval bombers, flying boats, gun boats, destroyers, cruisers, and it’ll be even possible to make use of the Graf Zeppelin carrier! Kriegsmarine will start its beta soon. We are looking for willing and active beta testers to help us finding bugs and give us suggestions. We need your help, so if you’re interested join the beta. 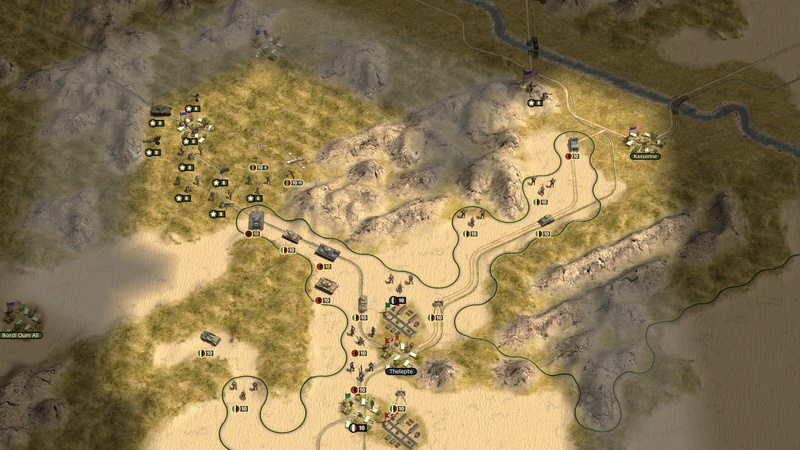 http://www.slitherine.com/beta/cnda.asp?gid=677, This beta will also be the first testing phase of the new skirmish mode, a much-anticipated feature in Order of Battle. Kriegsmarine is the upcoming DLC for the Order of Battle series and it covers the German Navy’s efforts to challenge Allied superiority at sea. 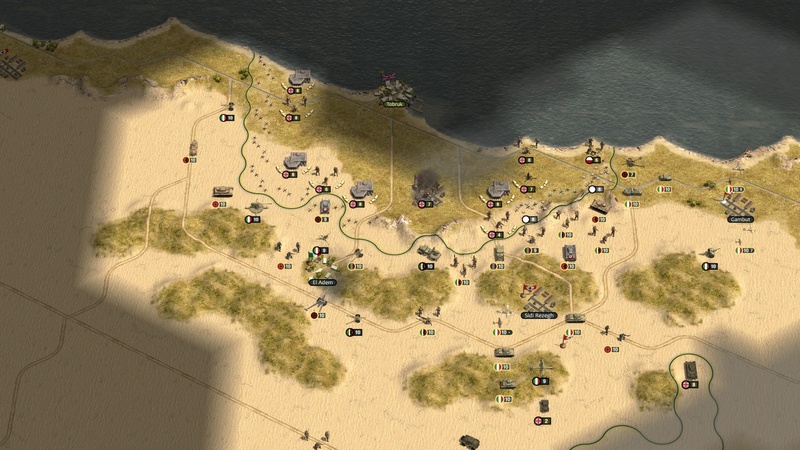 From the shores of the Baltic to the deep waters of the Atlantic Ocean, you will lead a smaller varied fleet of destroyers, cruisers and battleships, submarines, seaplanes tenders and carriers, as well as Marines units specialized in amphibious assaults. This DLC marks, of course, a return to naval mechanics. The team has put a lot of focus in expanding the naval aspects of the series with Kriegsmarine, and to best represent naval warfare they implemented several new features. Let’s look at them, shall we? 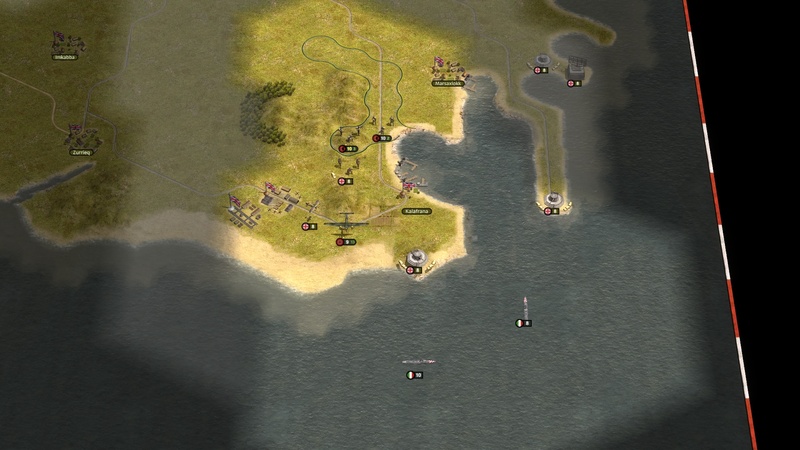 This new mechanic will completely alter how naval combat is played out in the Order of Battle series. Now both movement and range will play a role in damage calculation. The mechanics already existing in the game dictate that, in order to maximize your damage output, a ship that moves before firing must keep the same distance between itself and its target at the start of the turn and after the move. Basically, if the range stays the same before and after you move your ship, you will have maximized your firing efficiency as you won’t need to calibrate your guns and present the full broadside to the enemy at all times. This is now combined with new mechanic: By keeping your ship on the run, you make it harder to hit. The more movement points you spend in a turn, the more hit avoidance you will have, and the enemy will deal less damage to you. The trick is to try to keep the same range between you and your target when firing, but move as much as you can so that you won’t be a sitting duck! In a larger scale naval battle, the trick is to move as much as possible and outside of the effective range of most enemy warships, while still maintaining the same distance to specific targets for maximum firing efficiency. 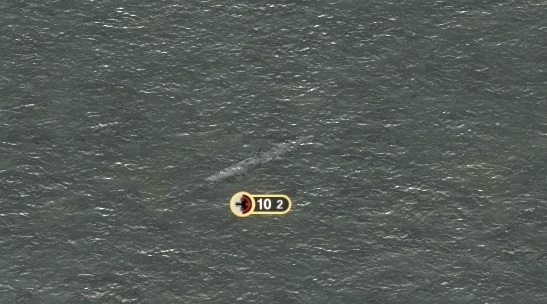 First off, surfaced submarines are now much harder to spot. Previously, they could be spotted by any surface ship or aircraft as long as they were in visible range. Now, they will only be spotted by adjacent ships: this allows brave submarine captains to take risks and gamble. Surfaced submarines can move at a higher speed to close in on merchant convoys or stalk enemy fleets. On the other hand, while a submerged submarine is slower, it can only be detected by sonar. We also introduced a limited submersion time: now submarines have a battery which they use when they are submerged. For most submarines, it’ll last 3 turns, although for some later models (like the German XXI) it will last 4. Then, the submarine will have to resurface and recharge the battery for a number of turns. These new mechanics make submarines way more interactive and interesting to play. The number to the right indicates the battery duration – how long your submarine is allowed to stay submerged! We decided to split the primary and secondary armaments for battleships and battlecruisers to more accurately portray these vital ships of the era. Primary guns can only be fired once every 2 turns. Their range and firepower is far greater, meaning that you want to save that when it’ll truly have a significant impact or when a good target is available. That offers an interesting choice to players and adds depth to naval combat. In addition, the secondary guns armament is often equally effective at close range against smaller enemy ships. Each ship now feels more unique and specialized as well as historically accurate, and there are big differences between various BB types. For example most BB/BC have destroyer calibre guns (100-128mm) but some like the Yamato are armed with (light) cruiser calibre guns (150mm). 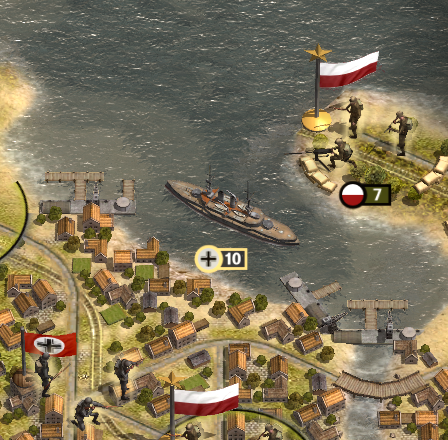 In Kriegsmarine we have an entire new class of units, seaplane tenders. These allow the German Navy to carry and resupply seaplanes (in fact giving it some sort of “prototype-carrier” capability). While floatplanes and flying boats used to be limited to the reconnaissance role, Kriegsmarine adds new types in the offensive role, including floatplane fighters and (torpedo) bombers. The ship to the left is the AV Greif: it can carry armed floatplanes (like the Arado AR 196 A-3) and resupply floatplanes and seaplane torpedo bombers (like the Heinkel He 59) alike. The one to the right is the AV Bussard. It can carry and resupply floatplanes and torpedo bombers! Kriegsmarine has a lot more to offer, but we don’t want to give away too much info at once. We’re looking forward to you trying the game and finding all the nice little touches that the Artistocrats left there for you to find. But let’s say bye, for today, with one of my favorite new ships. Everyone who guesses the name of that ship wins a cookie! Kriegsmarine is coming out tomorrow - don't miss the Twitch! It's been a long wait but it was worth it: Kriegsmarine is going to be released tomorrow and personally I am really looking forward to playing it. I am sure that you are like me, and you want to watch some of the game, and see those ships and u-boots in action. Am I right? If the answer is YES then you shouldn't miss our live stream on our Twitch channel this Friday, April 21st, at 3 PM GMT. Order of Battle: Kriegsmarine is out! In Order of Battle: Kriegsmarine you'll brave heavy enemy fire while at the lead of powerful battleships and cruisers - true beasts of steel! 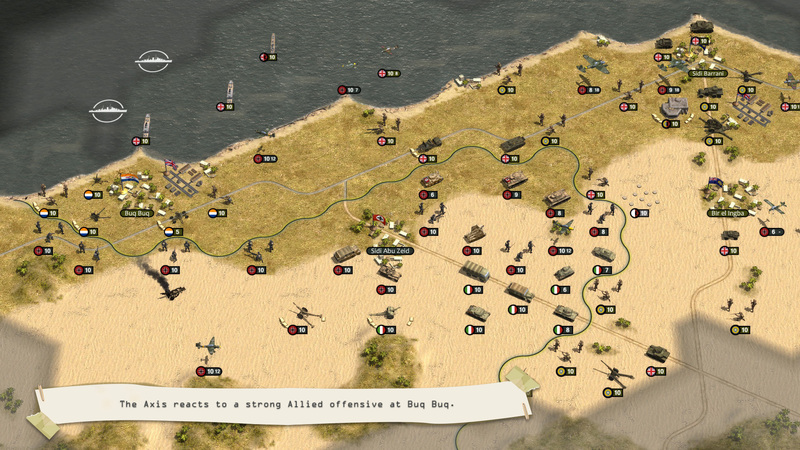 You will command silent predators, marvels of German engineering, the U-Boots, in their lethal hunt for Allied convoys. You will build and employ massive new Carriers, platforms from where to launch your newest aircraft, and gain a devastating edge over your enemies. Kriegsmarine is all of this, and more. Your efforts will decide the fate of the war. Are you up to the task? The new DLC for the Order of Battle series releases today on our store and on Steam. It features the exploits of the Kriegsmarine, the German Navy, in its effort to fight Allied supremacy at sea. It adds many new units, and it presents players with the intriguing possibility of exploring “what-if” scenarios: what if Germany had developed, built and deployed aircraft carriers? What if Germany had fully executed Plan Z and built the next-generation battleships? You have the choice. That’s not all! Kriegsmarine is accompanied by several new features which have an effect on naval gameplay in general: new mechanics such as fire efficiency and hit avoidance, new submarine rules, primary and secondary guns for ships, new unit types, a first look at the Skirmish mode, and more! It is truly a massive update. And if you’re still unconvinced, we’ll stream the game tomorrow on our Twitch channel! So what are you waiting for? Get Kriegsmarine now, and give us your feedback on the forum! Big news for all the Order of Battle fans! Today is the update day! We’ve now reached version 4.1.7, that brings a lot of fixes to some well-known problems. You can download the patch from our members area or directly from this link ! A patch has been released using the in-game automatic updater. This will fix a number of the main issues introduced since update 5.2.0 (mostly affecting naval maps). NOTE: Due to a bug in 5.2.0 the game will crash after downloading the update. This is "normal". After manually restarting the game it should correctly be updated to 5.2.2 and a popup with patch notes will appear. 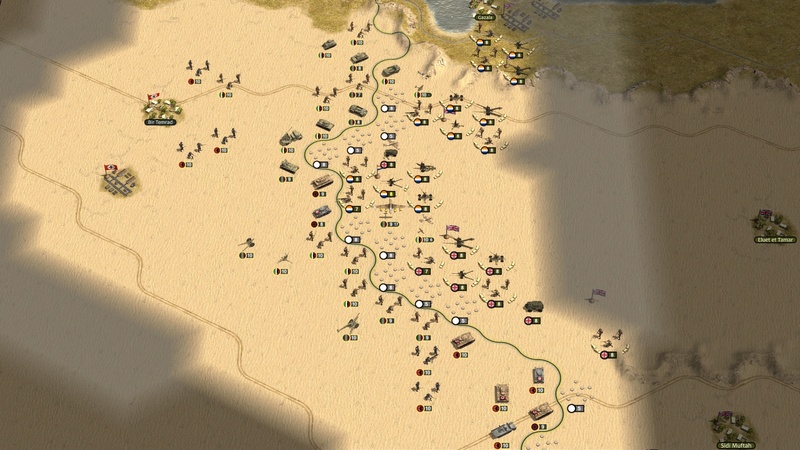 Order of Battle: Sandstorm, the new DLC in the Order of Battle series, will let you relive those years. 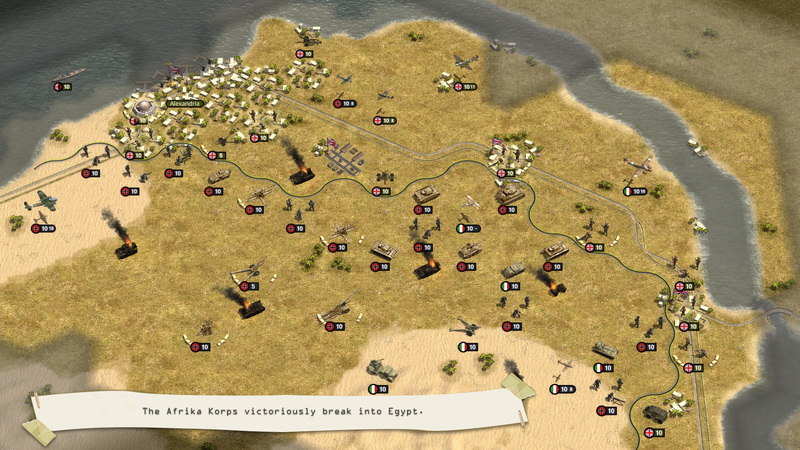 You will need exceptional strategical ability to succeed in the brand new campaign – one of the longest ever in Order of Battle, 14 scenarios! Beware, you will be outnumbered and time is against you. 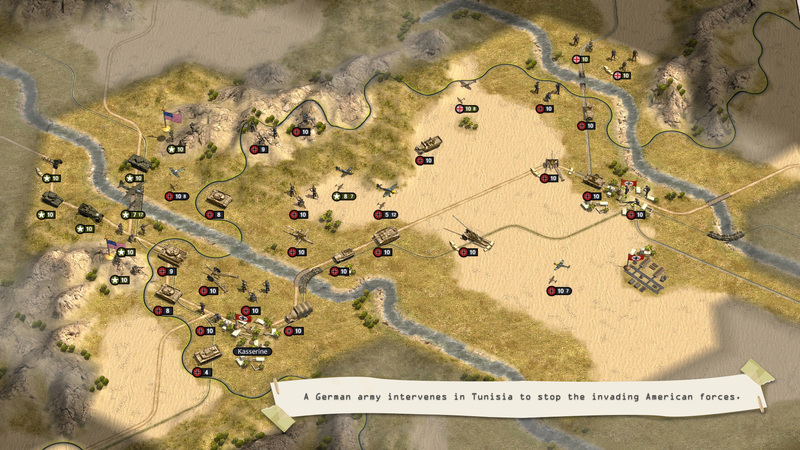 Deceive your enemy, then outmaneuver and vanquish them before you run out of supplies. 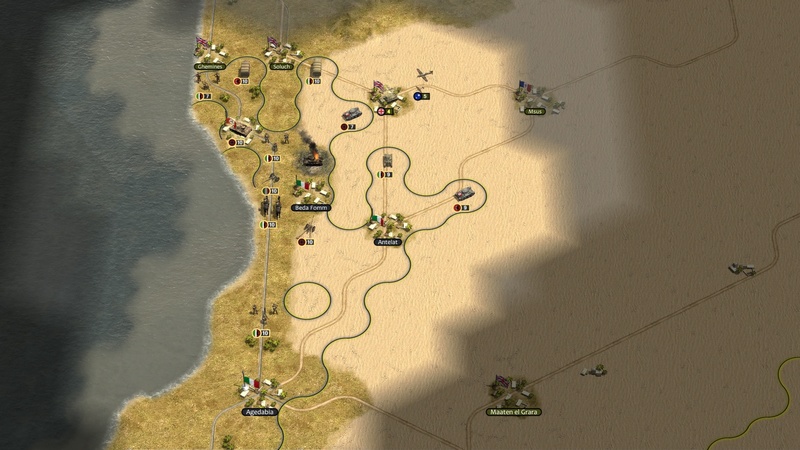 Sandstorm greatly expands the roster of Italy, adding many unique units as well as specializations. It also introduces a brand new terrain type to Order of Battle, Arid, as well as new terrain rules to represent the hazards of fighting in a desert environment (has anyone mentioned sandstorms?). 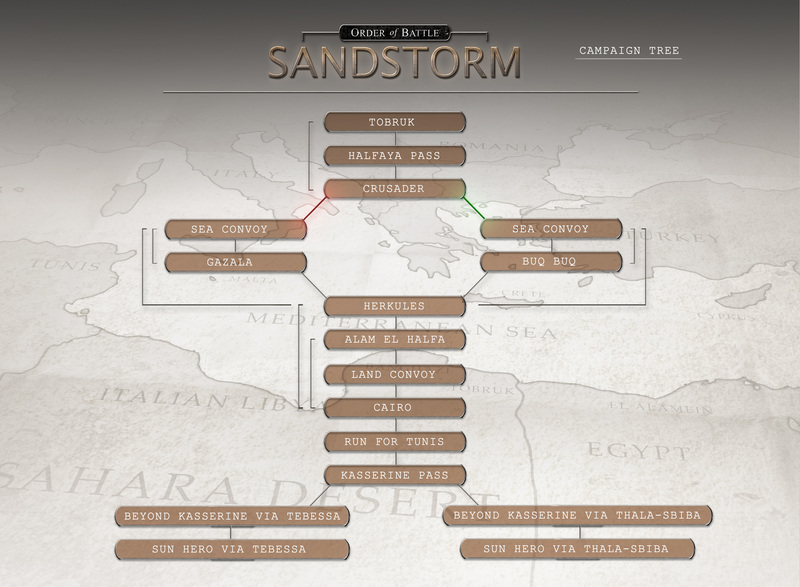 Sandstorm is currently in development and it’s about to enter Beta. If you would like to follow its development and give us a hand in testing it, please apply for the beta here. We will show you more of the DLC soon, so stay tuned!